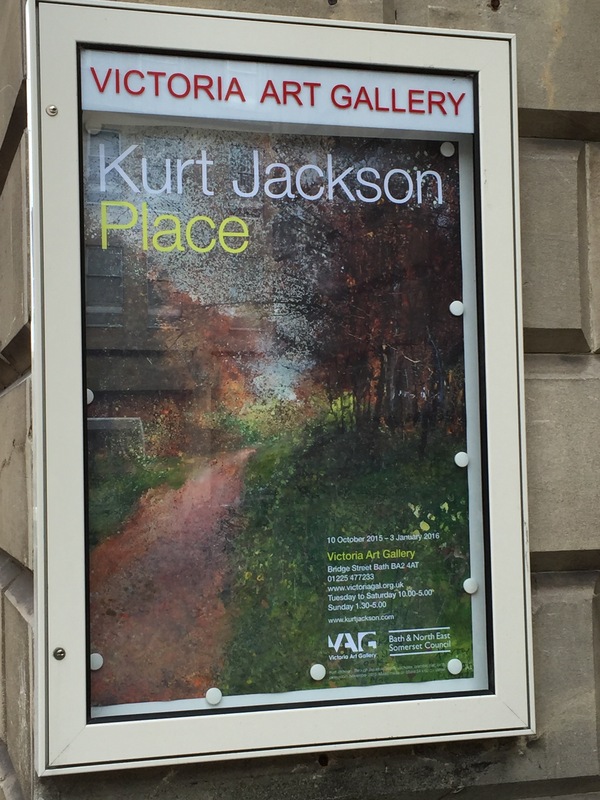 Kurt Jackson’s Place is currently showing at Bath’s Victoria Art Gallery. ‘There’s a place for us, Somewhere a place for us,’ sings Tony to Maria in the movie version of West Side Story and l am sure – if you stop and think about it – we all have a special somewhere which means a great deal to us. Getting a preview of the new exhibition. 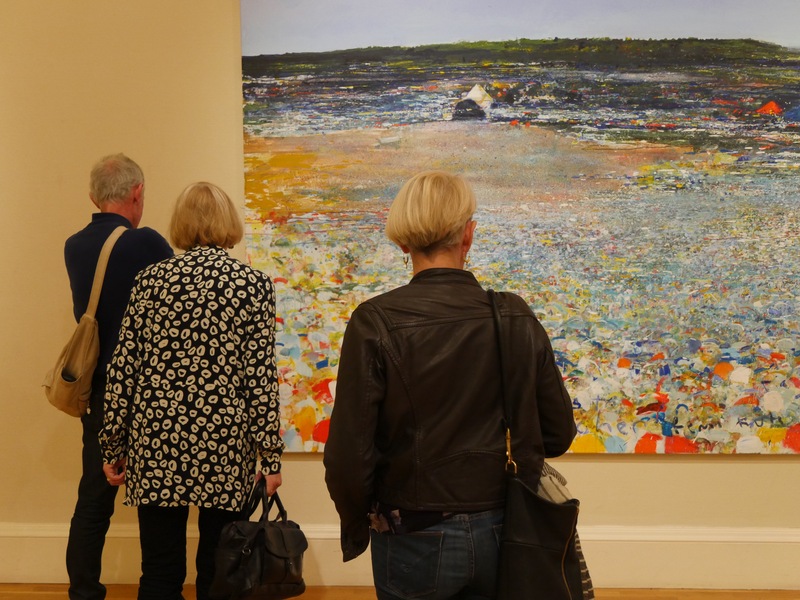 individual location with acclaimed British artist Kurt Jackson – who then went off to that special spot and captured both image and emotion for his latest exhibition called ‘Place’ – which has just opened at Bath’s Victoria Art Gallery. Kurt is a British painter well-known for large canvases which reflect his concern with natural history, ecology and environmental issues. However, you will also see lots of more intimate works – mixed in with the larger paintings – which will be on display through until January 3rd next year. 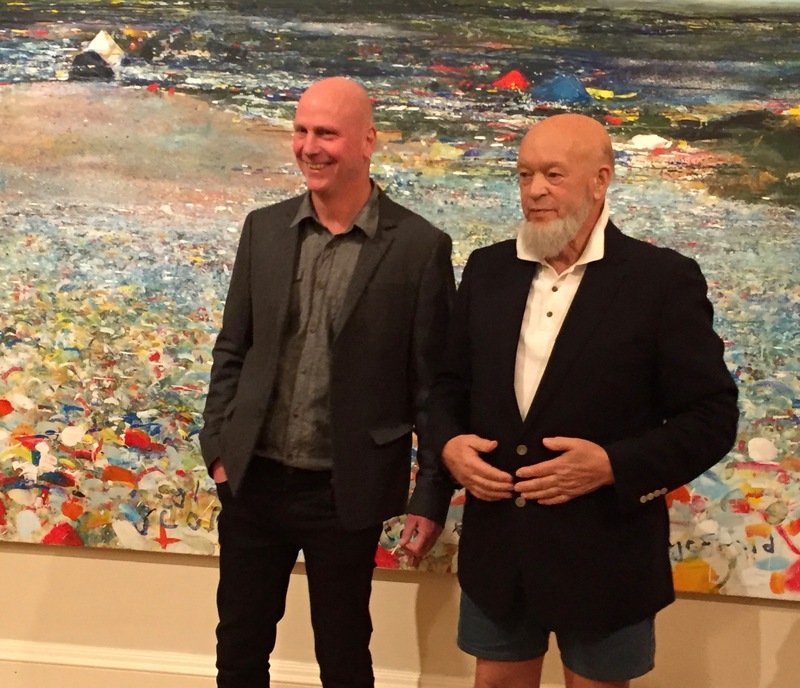 Kurt Jackson with Michael Eavis at the Victoria Gallery opening. His Bath exhibition was opened by Somerset dairy farmer Michael Eavis CBE who just happens to also be the founder of the world-famous Glastonbury Festival which he holds on part of the farm’s 150 acres. It’s the largest greenfield festival in the world – attracting around 175,000 people to the five-day event. 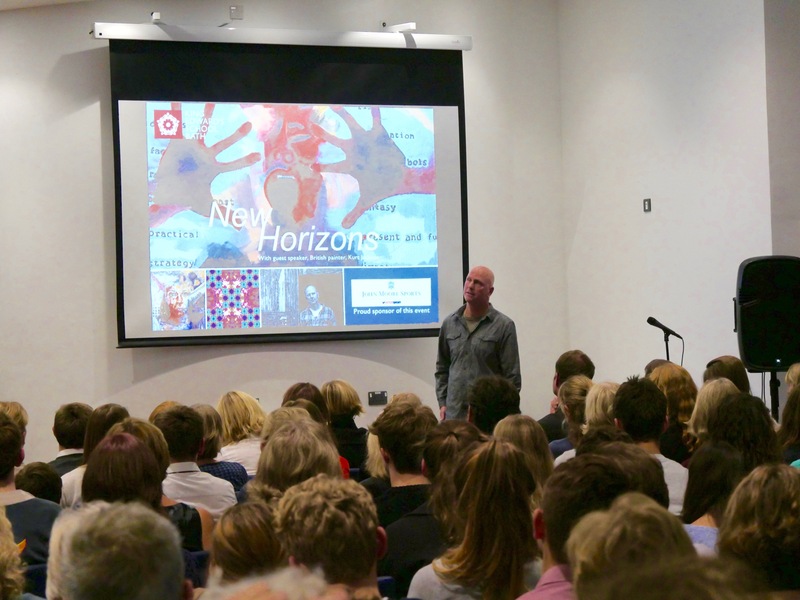 Pupils and parents listen to Kurt Jackson’s presentation at King Edward’s School in Bath. Kurt and his wife Caroline are good friends with Michael who appointed him ‘Artist in Residence’ at the Festival back in 1999. Many of the paintings on display feature the Glastonbury Festival which has been active for 45 years! The night before the Bath opening Kurt gave a talk to youngsters and parents at King Edward’s School and it was there – as the sun was setting over the city – that l was able to talk to him. The interview is illustrated with events and exhibition examples collected afterwards at the Victoria Gallery Preview.